I wanted to be a writer from the moment I could read. 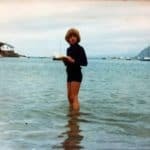 As I child I was rarely to be seen without my head in a book and as a huge Enid Blyton enthusiast I soon began my own boarding-school novels about a girl called Daisy. Daisy sadly (or perhaps not-so sadly) got lost in the loft and never saw the light of day but my hunger was awakened. I kept an avid diary all the way up to University, although there I confess I discovered better things to do late at night! Continuing my passion for reading, I studied English literature and specialised in medieval literature. I still wanted to be a writer but the need to earn some money pushed me into a 'proper job' as a factory planner. It wasn't until I was married and living in Derbyshire, that I decided to try and make my passion pay. In the sparse hours available between raising two stepchildren and two more of my own, I wrote for the women’s magazines and began the long battle to get a novel published. 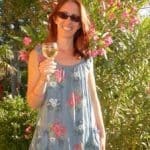 I signed to my fabulous agent, Kate Shaw, in 2007 for a contemporary novel but it wasn't until I switched to writing historicals that we secured a publisher. It was one of the best moments of my life! PanMacmillan published my series, The Queens of the Conquest, and I am now lucky enough to be working with Piatkus on my new series, Shakespeare's Queens. I have also, this year, returned to contemporary fiction and Bonnie and Stan will be coming out in Spring 2019 under the pen name Anna Stuart. Being a writer is a tough job but a hugely rewarding one. Stories are in my blood and, however painful it may be at times, I love the process of mining them out and onto paper and hope to be doing it for many, many years to come. I have rarely been more surprised than when my agent rang me up in the summer of 2017 and asked me how I fancied writing a contemporary novel. To be fair, I'd originally signed to her for women's fiction but it had been a long time since I'd written anything set this side of 1066 - hence my surprise. It was an exciting opportunity though. Sam Eades, a wonderful editor at Trapeze, had an idea for a novel about a man starting dating again in later life and the more I thought about it, the more I wanted to write about him. Bonnie and Stan will be released in Spring 2019 and I decided, to avoid confusion for readers, to write it under a different pen name so Anna Stuart was born. Click below to find out more.